Tales from a tribble: Have You Heard About The Obamacare Dental Plan? 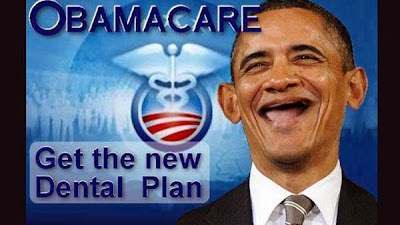 Have You Heard About The Obamacare Dental Plan? Hold it everyone. Maybe some of you will stop complaining about Obamacare when you find out the dental coverage you will receive. You mustn't have seen the latest ad. You won't be able to stop talking about it. That is, after you put your dentures in. Obama care . that' s funny. BAD CREDIT DENTAL FINANCING IN PEARLAND, TX. I also had a couple of old fillings that needed to be replaced. The hygienist there was very professional and worked hard to ensure my visit was comfortable. Her chair was also good. thanks Big Mike, For giving me the obamacare dental plan. Theses types of plans are good for the health. There are some dentist which are very famous for general dentistry services. Dental care is very necessary because people who don’t take good care of their teeth suffer a lot. No news about Obama is real and if you use best essay writing services for learning articles what writers posted on different blogs.